You can train from anywhere in the country to begin an exciting new career! Cuyahoga Community College offers a fully online accredited Associate of Applied Business degree in Captioning and Court Reporting. Students who have Internet access may attend these online courses, obtaining the education and skills required for employment in this exciting and lucrative field. Offered in the typical 16-week semester fashion of Cuyahoga Community College, enrolled students simply register for the courses they wish to take and then log onto a courseroom where they are greeted with an announcement page and links to weekly folders full of interactive instruction. Learners participate regularly in discussion board forums and have realtime chats with guest speakers, such as professional court reporters, CART providers, and captioners. These online courses are identical to the campus courses and students are assured of receiving a quality education. Some of the techniques and strategies included in the distance format include video and podcasts which accompany lessons and directions, graphics, and games. Instructors are easily attained for assistance and interaction on the course site and Tri-C's technical staff is available 24 hours a day for help. Regardless of the student's home location, internships are arranged so that all students benefit from the experiences had while participating with professional members of the industry. The Captioning and Court Reporting program, which began in 2004, is proud to boast of its distance program and its innovative course activities. The faculty all have experience in the court reporting profession, as well as specific training in Blackboard, the platform for the online program. All of our faculty have additional higher education degrees. Dr. Jen Krueger, one of our full-time faculty members, has completed her Ph.D. in Instructional Design for Online Learning. Kolleen Barnes, another of our full-time faculty members, has completed her M.Ed in Curriculum and Instruction: Technology. These qualities and experience serve our student body well as the learner's needs and goals are foremost in our structure. 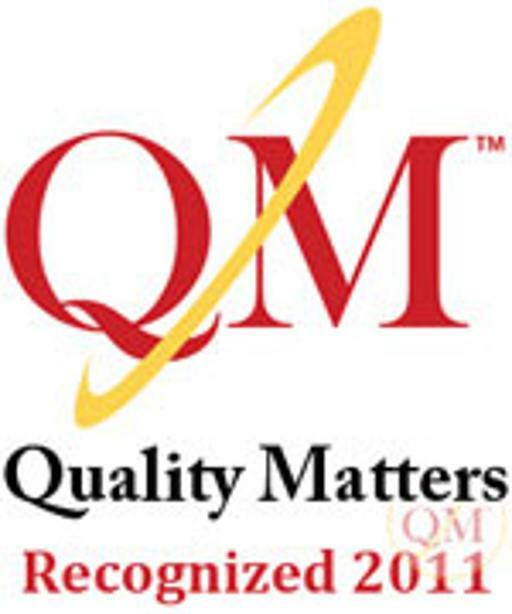 Cuyahoga Community College is a member of Quality Matters (QM). QM is a not-for-profit organization which provides tools and training for quality assurance of online courses. Courses in CCR are designed and taught with quality in mind and many courses in the program are designated with the QM recognized seal.